…..with this amazing vintage ring from the new vintage jewelry collection at The Stellar Boutique… too bad it would be too small for the finger I want to wear it on! 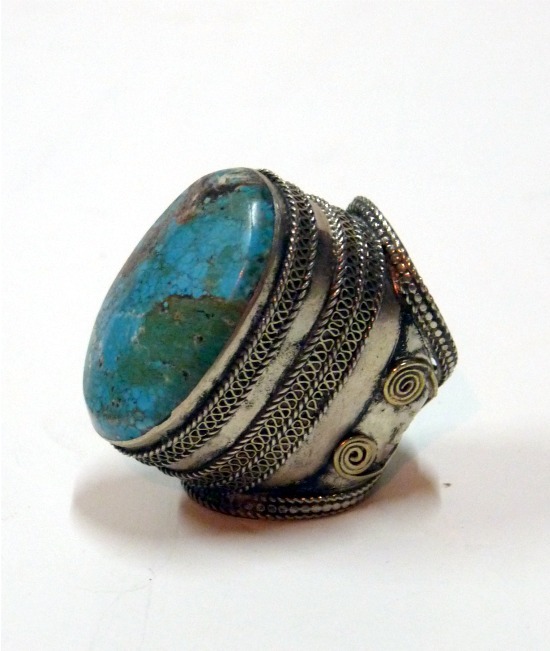 It is perfect for summer with just the right amount of turquoise and ornate goodness…. tear. This entry was posted in Press and tagged fashion, fashion accessories, fashion boutique, fashion online, fashion shop, Jewellery, online vintage boutique, rings, the stellar boutique, vintage accessories, vintage jewellery, vintage jewelry.